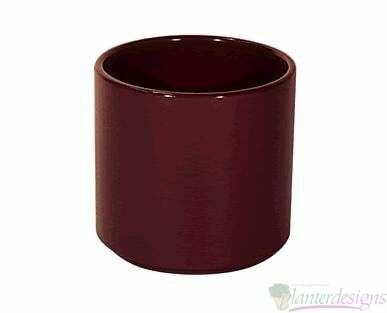 Polyceramic Cylinder Planters - The look of fine ceramics but without the weight. 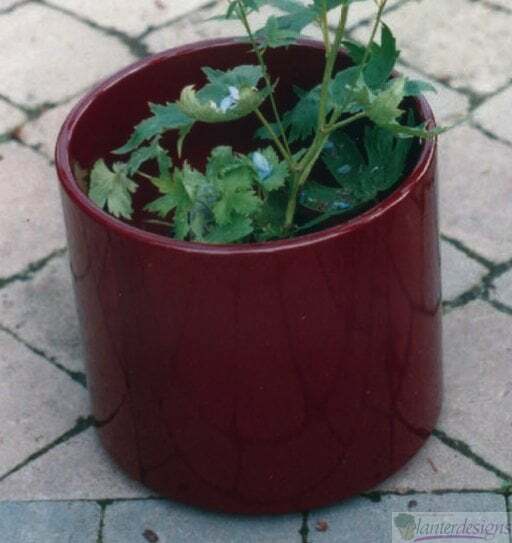 Polyceramics (PC) Planters and pots are light weight, incredibly durable. Made from a special composite, Poly Ceramics can be used inside and outdoors and are recyclable. Many colors and finishes available. Custom colors on request. Click for Color Guide. lead time usually about two weeks. no returns or refunds on these made or finished to order planters, except for factory error or damage in shipping. Note: +10% on matte finish. Also see Polyceramic window box rectangular planters. Available in 32 stock colors and textures. We can also match an color swatch that you provide to custom color your preferred pot. Custom colors may take up to 3 weeks to ship. MATTE (flat) finishes tends to be darker than the same color in gloss. If the finish is not specified at the time of ordering we will assume a Gloss finish is preferred. Up charged selections will be added after we receive the order and included for your approval with your freight charge - total on cart does not include up charge. Products are made or finished to order and are non-returnable except for factory error or warranty issues. Custom color matching available. Inquire - may be possible charge for this.